An auction held at Christie’s to celebrate 50 years of James Bond has raised £723,600 for UNICEF. The event was one of many held on Global James Bond Day, which marked the fiftieth anniversary of the screening of Dr No. 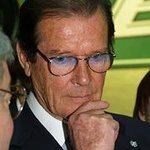 It was a star-studded night with UNICEF Goodwill Ambassador Sir Roger Moore in attendance. The screen legend acted as a celebrity auctioneer on the night alongside David Walliams and Dame Judi Dench, and expressed his delight about the incredible amount of money raised. Bids for the 007 memorabilia came from every corner of the world. Lot highlights included Daniel Craig's swimming trunks and the score from the latest Bond movie Skyfall. By the end of the night every lot was sold and the proceeds, which totaled £1,641,350, were shared between 12 charities including UNICEF, Art Fund, Women for Women International, the Royal Navy and Royal Marines Charity, the Science Museum, Barnardo's, the National Youth Theatre of Great Britain, First Light, Parkinson's UK, ORBIS, Tickets For Troops, and ChildLine.